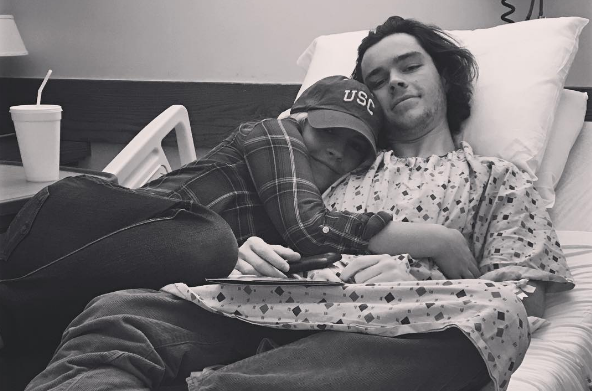 Emmy winning former One Life to Live and General Hospital star Kristen Alderson has provided an update on the condition of her brother (and former OLTL co-star), Eddie Alderson, who announced he had cancer on Monday morning. "My beyond precious and amazing brother (and best friend) @eddiealderson go diagnosed with Lymphoma Cancer last Friday. Ever since, we've been surrounded by love, support, and optimism. He is so strong and determined, I know he'll beat this. Please pray for Eddie's journey w/ us. I'll keep you updated as always." Kristen later posted another update announcing Eddie had been diagnosed with Hodgkins lymphoma. "The power of prayer is AMAZING! As of this morning Eddie was scheduled for surgery tonight. They said his first biopsy didn't have enough tissue to determine the exact kind of lymphoma. This would've pushed back his diagnoses/treatment and would've meant more time in the hospital. Only 4 hours after he announced his cancer (and you all responded with beautiful words and prayer) the doctor came in and said he no longer needed surgery! They were able to diagnose him using the sample they already had. (GREAT news) AND he he officially has Hodgkins Lymphoma (which is very treatable). He's going home today and will start chemotherapy on Monday."